EDS will provide a DVD of all household drain surveys we carry out and offer a direct solution to any issues uncovered. Drainage problems at home can be unpleasant and inconvenient at best, and can lead to a number of issues related to backed-up drains or leaky pipes. Identifying the cause of the problem is vital to finding the right solution, and CCTV surveys are the ideal way to do so. 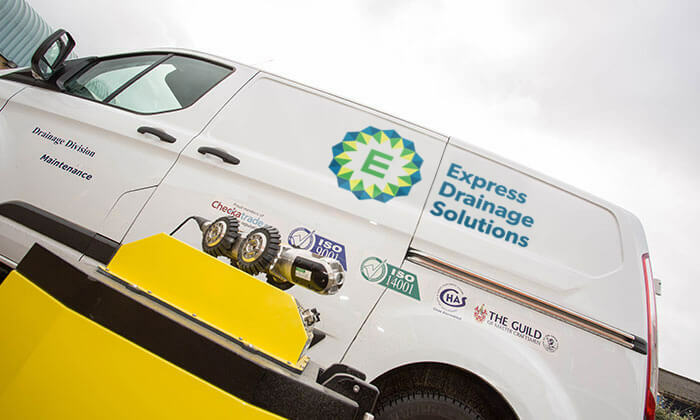 The highly skilled and professional team at Express Drainage Solutions are on hand to provide domestic CCTV drain surveys throughout London and the South East, utilising the latest technology to provide the least destructive way to see what’s going on in your drains. See root ingress in drainage pipes, captured as part of a CCTV drain survey. Residential CCTV drain surveys are ideal for locating and assessing damage caused by root ingress, pipe blockages, collapsed drains and more, and can provide potential home buyers with an accurate idea as to the health of the drainage system at a prospective property. Express Drainage Solutions can provide a DVD of all household drain surveys we carry out – suitable for insurance purposes – and can offer a direct solution to any issues discovered. Get in touch with the team today to find out more about our domestic drain inspections.